First a little story. Between 1997 and 2004 I worked on a tanker, transporting liquefied natural gas from Brunei to Japan. We would discharge at various ports near Tokyo, Yokohama and Osaka every three weeks or so. Quite often we would go to Sodegaura. Sodegaura had a small street, a shopping mall and a few small bars and eateries. If I only had a couple of hours ashore, I’d do a bit of shopping and have a few beers and some Yakitori chicken. One shop sold games, and I still have the used but minty Axelay I picked up. The company put on a courtesy bus from Sodegaura to Chiba, with a journey time of about one hour. When I had more time ashore I’d go to Chiba. Chiba was a great run ashore, with loads of shops, bars, restaurants and excellent arcades. And Akihabara was only a forty minute train ride from Chiba. Shore leave in Japan was one of the great things about the job, and as an engineer I’d always volunteer to work the early stand-by shift going in to port to get the afternoon and evening ashore. 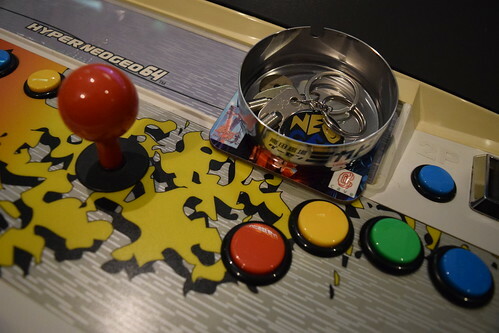 So what’s all this got to do with a SNK Super Neo cab? 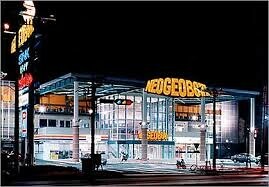 Well on the bus ride to Chiba, we always passed Neo Geo Bowl, a large arcade / bowling alley run by SNK. I don’t have many gaming regrets, but one of them is never asking the bus driver to stop and spending the afternoon there. 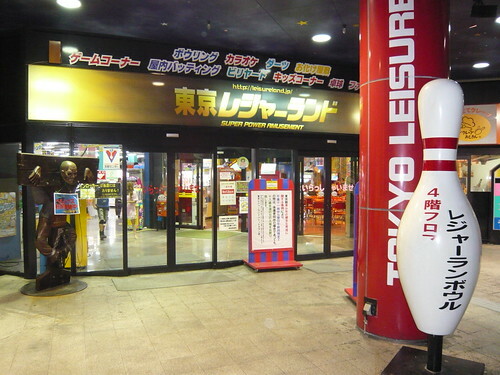 In 2011 we visited Tokyo Leisureland arcade, Odaiba. 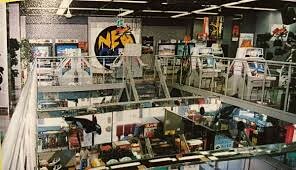 The venue was formerly the infamous Neo Geo World. 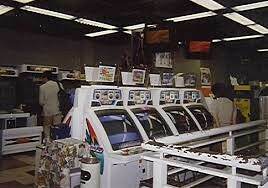 Opening March 1999, the venue featured rows of machines showcasing Neo Geo titles, as well as rides, bowling, karaoke, restaurants, shopping and cinema. Neo Geo World closed March 2001 and later re-opened as Tokyo Leisureland. 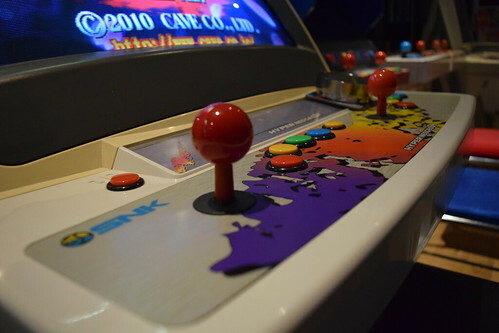 It was nice that the venue still housed an arcade, but NGW and the awesome SNK candy cabinets were long gone. 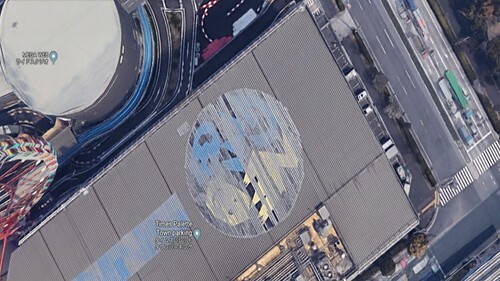 However the Neo Geo logo can still be seen on the rooftop, as seen on google maps. 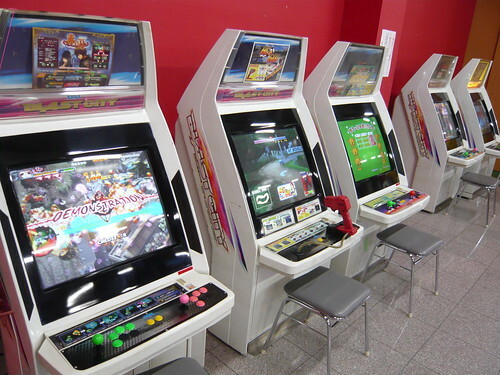 It is likely my SNK Super Neo Type II cab came from one of these SNK amusement parks. Who knows, maybe it came from the one I used to drive past all those years ago. I have a New Astro City which is my dedicated vertical shooter cab, and I really liked the idea of getting another 29” cab with the monitor set to horizontal. The cab currently has Akai Katana installed. 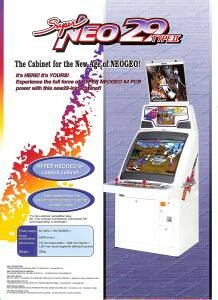 There were several versions of the Super Neo 29 cabinet. The Super Neo 29 was wired for MVS in stereo, and had a select button and space on the marquee for four Neo mini marquees. 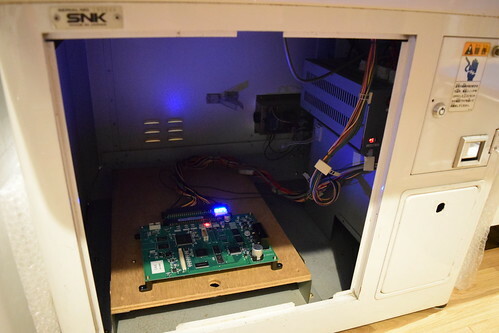 The Super Neo 29 Candy was wired for Jamma in mono. In addition to the version with the ‘Super Neo 29 Candy’ marquee, there is also a ‘pop’ version with an insertion space on the marquee for arcade art and logos. 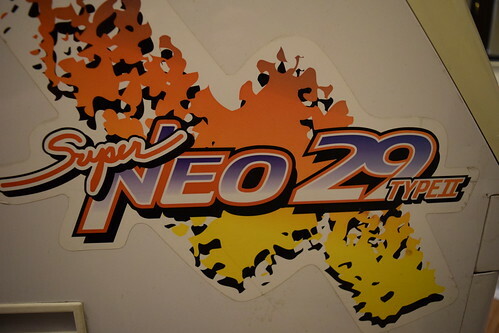 The Super Neo 29 Type II was wired for the Hyper Neo Geo. 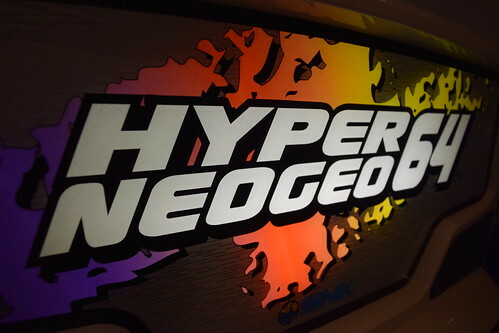 Some versions came with an LCD fitted in the Hyper Neo Geo marquee to show the game to spectators. Interestingly the seller told me that the cab used to be owned by a guy from Ignition Software, who handled all of the UK home console SNK releases during the PS2 and Xbox era. A couple of feet were slightly bent and needed straightening. When I was loading the cab onto the tail lift van, I straightened one of the feet and found a 50 Yen coin had become trapped next to it! 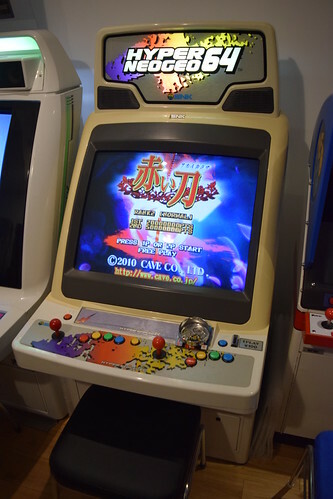 -It’s a fully working SNK candy cab! -The cab is totally original and in great condition with only a few minor marks. -The monitor is very nice with no noticeable burn. -The side art is in excellent condition with no rips or tears. -The cab is extremely clean. -It came complete with manual and keys. -The amount of space available for PCB’s is awesome! I’m thinking of constructing a shelf to store multiple boards. -There is some slight cigarette burn on the control panel upper near the instruction strip space. I will probably just leave this. It’s not too intrusive and all part of the character. -The plastic monitor surround is a bit yellowed. -Spares and parts seem to be much harder to source compared with my trusty NAC. A massive thanks to Jamie (Arcade Otaku) for this awesome cab. Image 1: Neo Geo Bowl, Chiba - Remains the copyright of John Anderson. Image 2: Neo Geo Land, from Neo Geo Freak - 1996 September issue.